I have heard that it takes only thirty seconds for the average person to decide if they like someone they just met. If we are picking out friends, great, no need to waste time on somebody you don’t like right from the start. But in the workplace, that first impression is key in setting the stage for developing a professional relationship that needs not be flawed from the get-go. 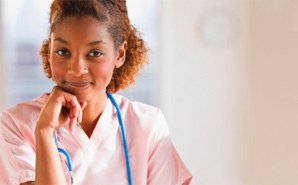 Nursing is your classic profession that relies heavily on interpersonal communication skills. Throughout my everyday practice I am constantly communicating with not only patients and their families but also my co-workers, doctors, interdisciplinary team members, etc. Efficient communication skills are a necessity for effective practice, especially in the pediatric setting where teaching plays a major role in caring for patients. In the likes of communicating with another individual, I believe a first impression can pave the way for the rest of the relationship, whether it be in a positive or negative light. Entering the field of nursing as a new graduate and starting on a floor with established doctors and well-seasoned nurses, making a good first impression was pertinent in setting the foundation for my professional relationships. In the hospital setting, an effective working relationship between a nurse and a physician is one of trust, where each party must rely on the other to do their part to provide adequate and safe care of the patient. I think new nurses, as with any “newbie” to their profession, are expected to prove themselves in the workplace. Standing out through your first impression as a new nurse can set the tone for how others perceive you and your work ethic. I’ve decided to juxtapose a few first impressions that I’ve witnessed in the hospital setting as examples for those entering the workforce on what to do and what, well, not to do. Scenario A:Â New nurse enters the unit on her first day of orientation. Appearance: Hair down around face, hoop earrings in, short t-shirt that reveals her midriff when she reaches overhead, stain of unknown origin on her scrub pants, long bright pink fingernails (fake nails, that is), chewing gum. Day 1: Not-so-lovely Lucy was asked to not send personal text messages in plain sight of her patients, it is unprofessional. She was also asked to refrain from having oh-too-personal conversations about her new boyfriend within ear shot of her patient’s rooms. Day 2: She was observed returning from her lunch break 15 minutes later than her allotted time. She forgot to carry out a doctor’s order for a lab draw, resulting in sub-therapeutic levels and delayed discharge of her patient and proceeded to shrug her shoulders when the doctor asked her about the mistake. To top it all off, she was caught blatantly flirting with one of the new residents instead of taking her patient down for a CT scan. The nurse receiving report from not-so-lovely Lucy said she was abrupt, in a hurry, and her report lacked many important details. Scenario B:Â New nurse, Lovely Lucy, enters the unit on her first day of orientation. Appearance: Hair kept nicely back in a ponytail with trimmed nails. Small stud pearl earrings, a colorful scrub top with pockets full of spare pens, a scissors, pen light, and tape. Day 1: Lovely Lucy diligently worked beside her preceptor, kept a smile on her face, asked appropriate questions, and acted genuinely interested in her patients and their families. She was proactive in seeking out the charge nurse to see if there were any procedures that she could watch as a good learning experience. Day 2: Lovely Lucy spoke with the doctors during rounds about some questions that she had regarding her patient. She introduced herself politely and contributed to the discussion with eagerness Â and questioned things she did not understand. She promptly followed out her new orders and checked back in hours later to let the doctors know how her patient was doing. And she kept a smile on her face. Be eager. Our profession is one that requires constant learning and applying that knowledge, don’t be afraid to seek out new procedures for a learning experience. Be polite. Don’t interrupt, but don’t be afraid to introduce yourself and interact with the physicians. A polite nurse is much more effective than a rude, pushy nurse. Be prompt and reliable. Follow out orders in a timely manner. Maintain a professional relationship with all that you encounter. Smile, smile, and smile some more.